With the cost of flat screen displays plummeting over the past few years, many companies are choosing to use this technology to get information to their clients and potential customers in a professional and stylish manner. You see informational mini-movies running in store lobbies, trade show booths, even in the subway. It is a cheap and effective way to get a graphic message across. But what happens when the movie stops, or the controlling computer crashes? The client, or even worse, the potential client, sees a black screen, a frozen screen, or a blue screen of death (BSOD). This is embarrassing for the business owner, and could result in lost sales. In the lobby of their building, an electrical utility has a flat screen display mounted on the wall. Connected to a Windows XP workstation, it plays a simple MOV file. Any time the movie stops playing, a member of the public – a customer walking through the front door – is the first to notice. After several complaint calls to their Help Desk from customer service representatives who have been made aware of the problem, the Help Desk wants to find a way to be alerted automatically when the movie fails. 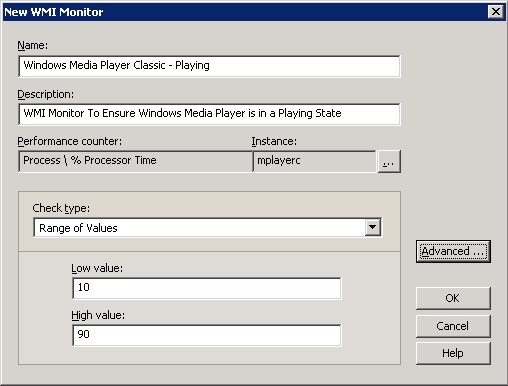 When the MOV file (being rendered by Windows Media Player classic) is functioning normally, a process called “mplayerc.exe” exists on the controller. This process consumes between 10% and 90% CPU when the movie is playing. If the CPU usage for “mplayerc.exe” is at below 10%, the movie may be on, but in a stopped or paused state. If the CPU usage jettisons up to 100% for an extended period, we know the player is in a crashed state. 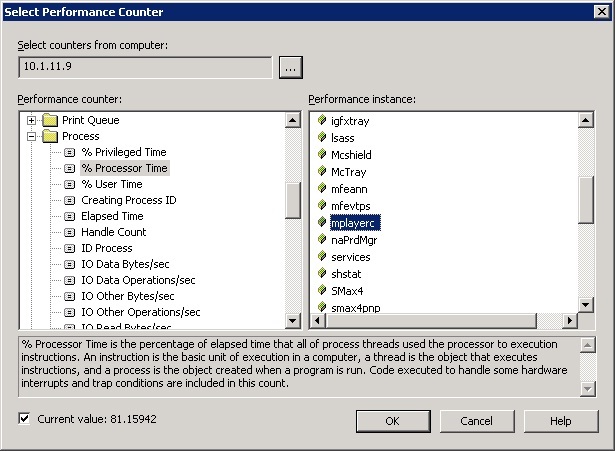 Within our monitoring software, we create a WMI monitor for the % of processor time being consumed the by the process “mplayerc.exe”. 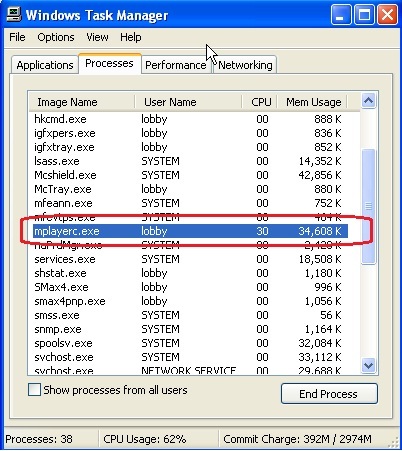 If we do not see the process “mplayerc.exe” consuming between 10% and 95% CPU usage, an alert is thrown, and we contact the customer help desk to re-start the movie before any customers, or even the customer service staff, is aware that the display has stopped. With new technologies come new challenges. Inevitably, situations will occur that cause frustrations for technical staff and management alike. An experienced system monitoring company can develop provisions to ensure that the next time a given problem occurs, technical staff are made aware and can resolve the issue before the end user even notices a problem has happened.